Get ready to fly without wings, guys. It seems that 2019 is THE year for us 90s babies because all our favourite boybands are either reuniting or making their way to our shores! 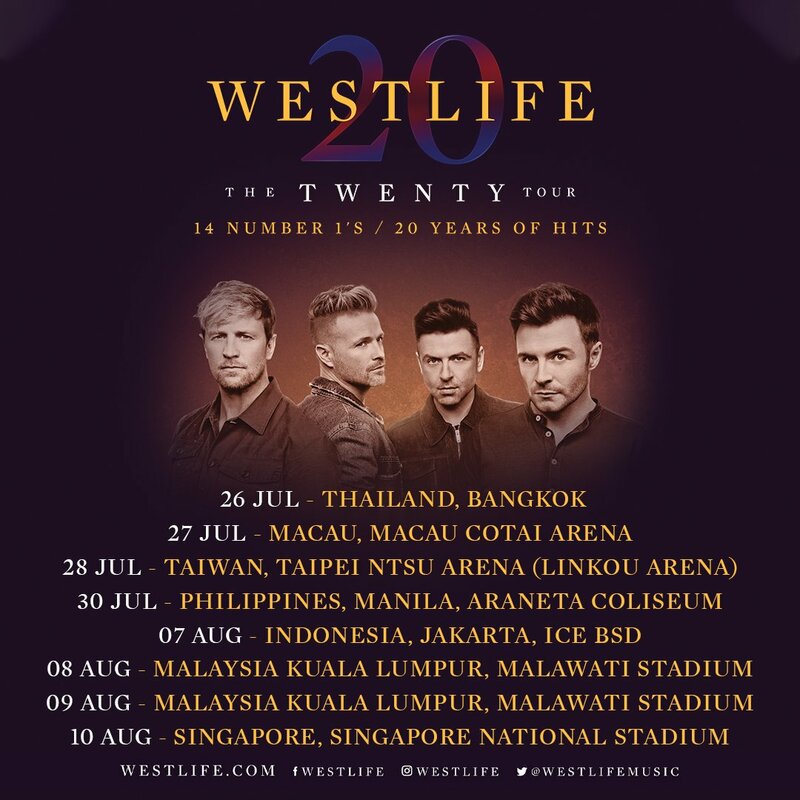 First, it was Blue who announced that they will be coming to Malaysia (which is actually happening this weekend), then Backstreet Boys released a new song earlier this year, and now Westlife has announced that they will include Malaysia in their tour this year! When asked the possibility of adding KL to their tour line up this year, Nicky accidentally revealed more than he should. Realising that Nicky gave a little too much detail, the band members were immediately alarmed but then decided to add some more spice to the news. “We’re definitely going to be there before Halloween time,” Shane added. Well, guys looks like the wait is finally over because we have an update on when will the group be coming to Malaysia! 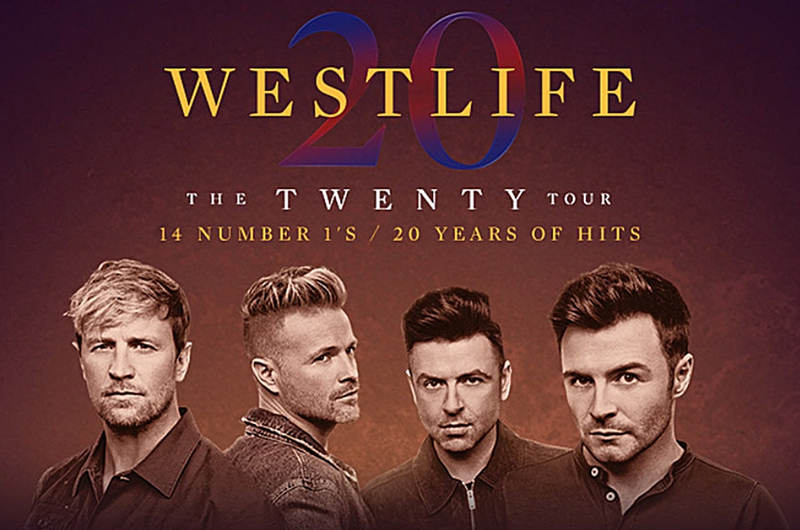 Westlife announced their tour dates via their Twitter account and we can't help to notice that the boys will be performing not one, but two concerts! Their concerts will be held on 8 and 9 August 2019 at Stadium Malawati, Shah Alam. The Twenty Tour will be brought to you by Macpie Pro and Universal Music Malaysia. Tickets will be priced at RM273, RM373, RM483, RM573, and RM693. No word yet on when tickets will go on sale. So guys, be sure to keep yourself updated because you'll definitely be a "Fool Again" if you miss their show this time. 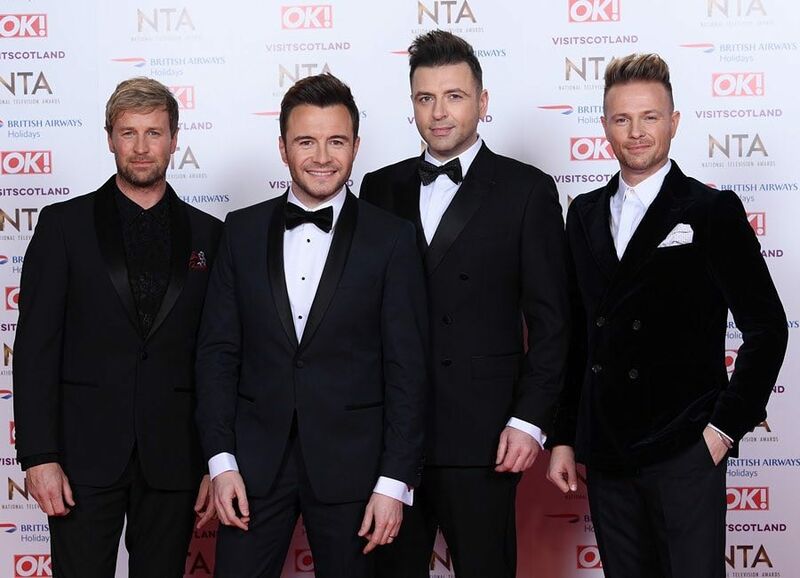 Are you guys excited to see the return of Westlife? We know we are!